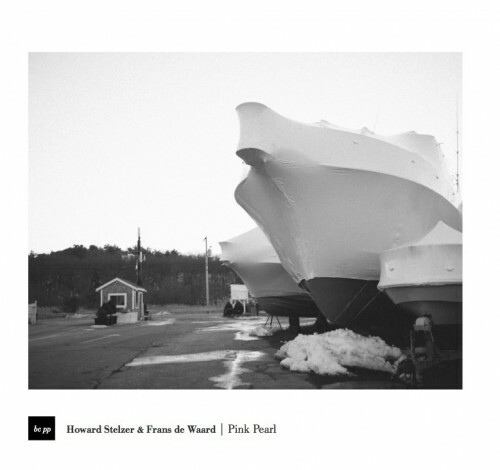 I’ve always loved anything that Stelzer has worked on, and by way of his collaborations he frequently leads me to new and exciting artists that I’ve either never heard of or have never gotten around to sitting down with, Pink Pearl with Frans De Waard being an excellent example. The two had been casually trading and elaborating on each other’s sounds for a decade or two before their work culminated in this spectacular piece of creeped out droney weirdness. It has a strong field recording vibe, and while that might be an element to this, there’s nothing to specifically call out as a recognizable sound. Instead, it’s all looped murmurs, crusty electronics, bubbling tape fuckery, stuttering mechanics, hissing clicking breaths of the netherworld, beautifully spare broken dreams alongside bleak industrial bang clank lye vats, the echos of a derelict boiler room still alive with phantoms of the past, eliciting strong memories buzzing & wheezing from the back of your mind that are a hair too ethereal to grasp ahold of. This is absolutely fantastic work, and while I’m unable to distinguish between Stelzer’s & De Waar’ds individual sounds (one of the signs of a truly successful collab), I’ll be damn sure to keep an ear out for more of De Waard’s records.